SCVHistory.com FF7301 | Tataviam Culture | Chief Mary Cooke Garcia, GD Geraldine Romero Perez, GGS David Casarez Jr., Sea World, July 1973. 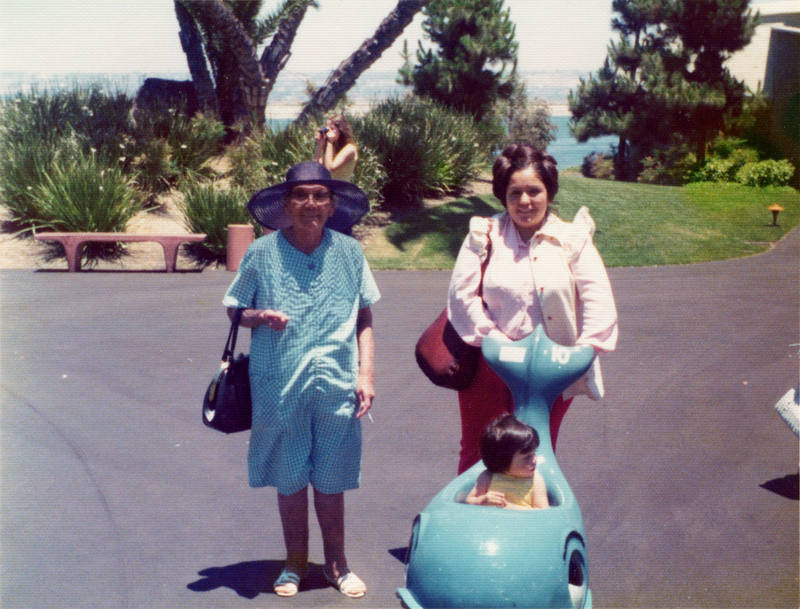 Chief Mary Garcia, Geraldine Romero Perez, David Casarez Jr.
Chief Mary Guadalupe Cooke Garcia (Dec. 12, 1901 - May 29, 1975) with her granddaughter Geraldine Lee Romero (Perez) and great-grandson (Geraldine's son) David Casarez Jr. at Sea World in San Diego. Chief Mary Cooke Garcia's ancestry (and thus Geraldine and David's) can be traced to individuals who lived in the Santa Clarita Valley prior to European contact in 1769. FF7301: 9600 dpi jpeg from photograph courtesy of Geraldine Romero Perez.